Baghdad, Iraq – Public transport in Iraq, a country wracked by a series of conflicts that have devastated its infrastructure, is practically non-existent. In the capital, Baghdad, a city of almost nine million people, residents rely instead on their own cars, taxis or privately-owned minibuses to get around. But high transport charges, coupled with dilapidated, long-neglected road networks and the omnipresence of checkpoints, make movement across the city difficult, expensive and time consuming. “Transport isn’t just expensive, it takes so much time. An errand that shouldn’t take more than 30 minutes, takes 90 because of traffic,” says Murtada Huwaidy, a labourer from Baghdad. Congestion is particularly bad when using one of Baghdad’s 13 bridges to cross the Tigris river, which cuts the capital in half. But the river, once the beating heart of Baghdad, might hold the key to easing the residents’ transportation woes. 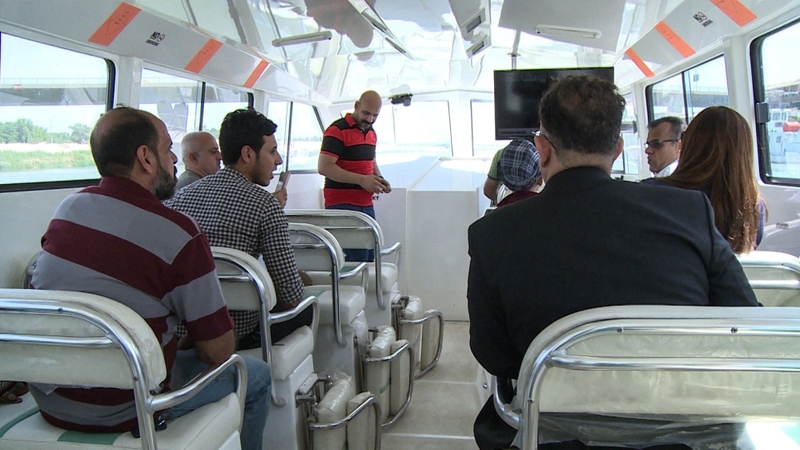 Enter the river taxi, a new initiative aimed at providing an affordable and quick means of public transport and reviving movement along the Tigris, which used to be teaming with life before the successive conflicts but has suffered neglect and declining water levels in recent years. 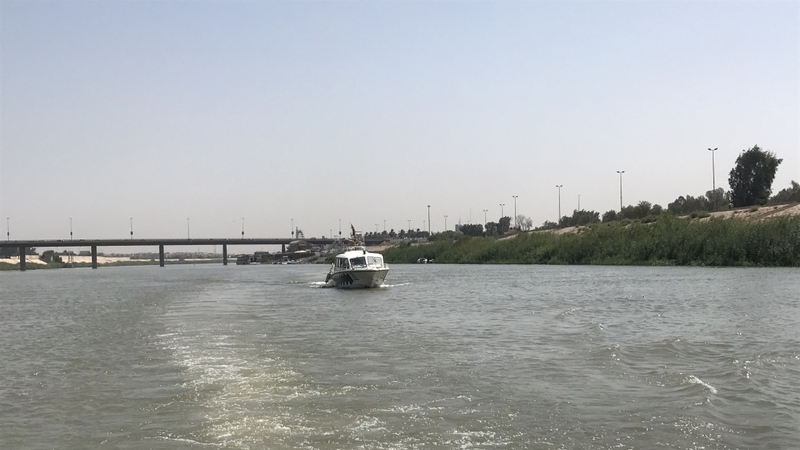 Launched by Baghdad’s provincial council in cooperation with the Iraqi ministry for transport, the initial phase of the city’s first river taxi service is scheduled to come into effect in September. After a successful three-month trial period earlier this year, which saw river taxis moving between two stations, authorities aim to build nine more stops to connect the city’s northern suburb of Hussieniya to al-Mada’en in the south by February 2019. When complete, 22 river boats of various sizes – taking between six to 44 customers at a time – would transport people across the two banks of the Tigris, as well as up and down the river. A single journey is expected to cost 500 dinars [less than $0.50 ] – significantly less than an average taxi fare of at least 5,000 – 10,000 dinars [$4 -$8]. Ali Mohamed, a 22-year-old student who used the river taxi to get from his home in Adhamiya to Baghdad University in Jadhriya during the pilot phase, eagerly awaits for the service’s launch, hoping that it will be convenient to use. “It made my life easier,” says Mohamed. According to Mohamed al-Rubaie, head of strategy and planning in Baghdad’s provincial council, building the infrastructure for the project – which authorities began studying in 2016 – has been the cause for its speedier completion. “The easy and inexpensive part was purchasing the boats. The hard part is establishing the infrastructure for them to work properly,” he says, pointing towards a rusty boat station along the river that he says will be ready to use in a few months. With negotiations between the country’s political leaders to form a governing coalition still under way, decisions on budgets and projects such as this have been stalled. Rubaei believes, however, that once the project is fully functional, there will be a huge demand for the taxis. For Qassim Nassri, 70, a river boat captain stationed in Jadhriya, where the river taxi was working earlier this year, the project cannot start soon enough. But he quickly adds that there are still a few obstacles that need to overcome. “The government needs to loosen its grip and allow boats to enter all areas for this project to be functional,” says Nasser, referring to heightened security measures taken by the government since the Islamic State of Iraq and the Levant (ISIL, also known as ISIS) armed group took control of large parts of the country in 2014. Many roads and areas that had been blocked off became accessible after the Iraqi forces’ victory over ISIL in December 2017. 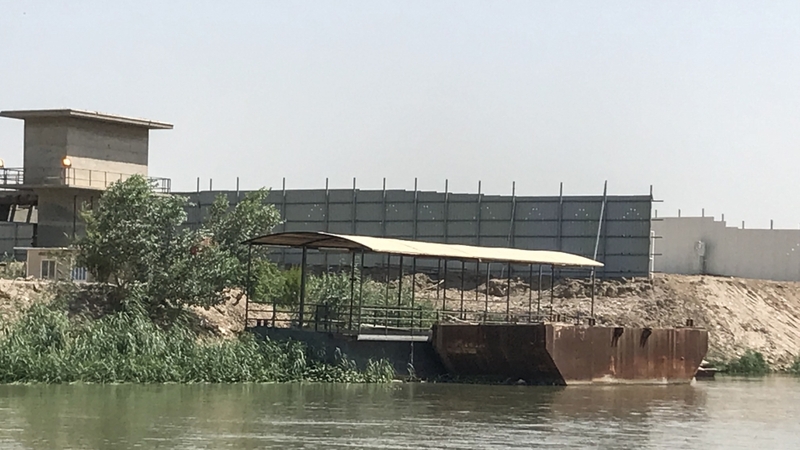 Still, many of the river banks, especially ones near the Green Zone – a 10 square kilometer area in central Baghdad where most of the government buildings and foreign missions have been based after the 2003 US-led invasion – are still out of reach. 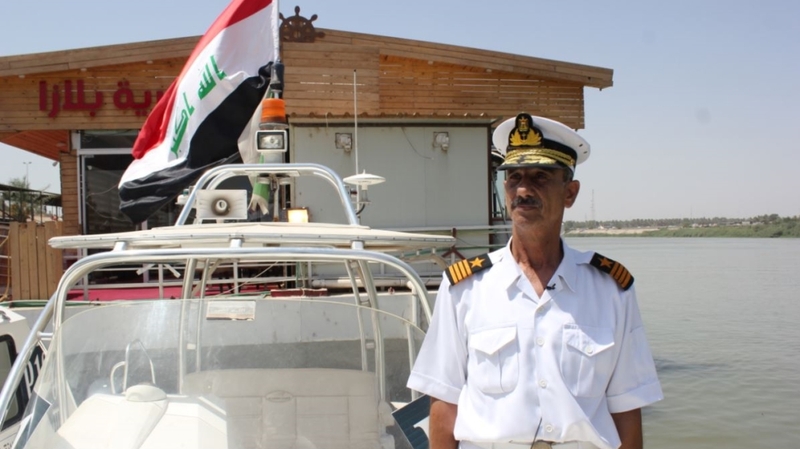 But Nassri, the captain, hopes the project will soon bring life back to the Tigris. “In the 1970s and 1980s, boats never ceased to move up and down the Tigris. Day and night, there were fishing and transit boats,” says Nasser. Next articleCavaliers Rumors: Cleveland in Contract Talks with Larry Nance Jr.